T-34 Tank History Museum is located at the 36th kilometer of the highway leading to the town of Dmitrov. This place is of historic significance to the history of tank engineering. V.D.Mendeleyev, one of the first Russian tank inventors, worked in these parts of the Moscow Region. The first Russian heavy tank designed by N.N.Lebedenko was tested near Dmitrov. On December 6, 1941, right from the point where the museum now stands, the T-34s of a separate tank battalion started their counterattack against the nazis – this was the most important stage of the Battle for Moscow. After the War well-known tank engineers and tankmen, such as P.S.Antonov, V.M.Badanov, A.A.Burdeyny, S.A.Ivanov, N.A.Kucherenko, A.M.Parchinsky and others lived in the nearby dachas. In 1976 Larissa Vassilieva, a well-known poet and writer, standing at the deathbed of her farther Nickolai Kucherenko, one of T-34 designers, promised him to write a book about the creation of the legendary combat vehicle. Her persistent research and numerous meetings with the veterans – tank builders and tankmen – resulted in the release of the “Book about Father” in 1983. Public response to the release of this book was so great that literally bags of letters from people who had been privy to the creation of Т-34 were coming to her. These people shared facts, reminiscences, photographs, and documents with her. Semyon Geychenko, Director of Puskin’s Museumin in Mikhailovskoye, after seeing Mrs. Vassilieva’s mail, recommended her to set up a museum, at first, in her own dacha. The unofficial museum created by Larissa Vassilieva on 26 square meters of her dacha opened on May 2, 1985. So many people came to the opening ceremony that the floorboards were about to break. Fortunately, it did not happen. The museum soon became popular both inside and outside Russia. New letters, parcels, packages kept on coming to the museum. The size and the amateur status of the museum wee no longer in line with the uniqueness of its collection. In 2000 Mrs. Vassilieva forwarded to Yuri Luzhkov, Mayor of Moscow, and Boris Gromov, Governor of Moscow Region, a proposal to consider the establishment of an official museum dedicated to the history of Т-34 tank. In 2001 the construction of the Museum commenced at the 37th kilometer of Dmitrovskoye Highway. In less than one year – on the 60th anniversary of the beginning of the Battle of Moscow – the new Museum opened as a municipal institution of the Town of Lobnya. Federal and municipal agencies, institutions, enterprises; public associations from Moscow, Moscow Region, Lobnya, Dogloprudny, Mytischi, Nizhny Tagil and Kharkov (Ukraine), as well as the Main Army Tank-Automotive Command of the RF Defense Ministry took part in the setting up of the Museum’s first exposition. Now the Museum displays exhibits from private archives of L.N.Vassilieva, E.S.Katukova, widow of M.E.Katukov, Marshal of the Armed Forces, Т.М.Koshkina, daughter of M.I.Koshkin, the Chief Designer of T-34, I.G.Zheltov, a well-known tank historian, veterans and commanders of the Great Patriotic War. The Museum became very popular in the first few years of its existence and also became an official venue of memorial meetings held by the Governments of Moscow and Moscow Region. It is visited by members of the diplomatic corps, foreign delegations, students and schoolchildren form various regions of Russia and CIS countries. — Atlantis — XXI Century Regional Cultural and Educational Association. 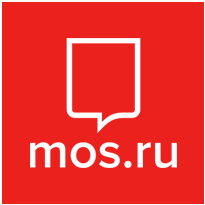 In 2011 in pursuance of the federal laws of the Russian Federation the Museum became the State-Financed Cultural Institution of Moscow founded by the City of Moscow represented by the Department of Culture of the City of Moscow. The general concept of the Museum can be outlined as follows. The Museum demonstrates the process of the creation of the tank and its unique engine, discloses the biographies of the people who created the tank and whose names were kept secret for many years. The Museum shows hero tankmen and their heroism in WWII. The Museum is the first to describe the “ancestors” of Т-34 – BT-2, BТ-5, BТ-7, BТ-7М tanks – and the specific work done by their creators. The Museum is the first to reflect the strategic role of Т-34 in the Battle of Moscow. The Museum is the first to undertake a comparative analysis of medium tanks from various countries. The Museum is the first to trace the “ancestry” of Т-34 and its modifications. The Museum is the first to display the “geography” of Т-34 which fought in different continents and countries. The Museum has a vast collection of quotations about Т-34 and its role in WWII.